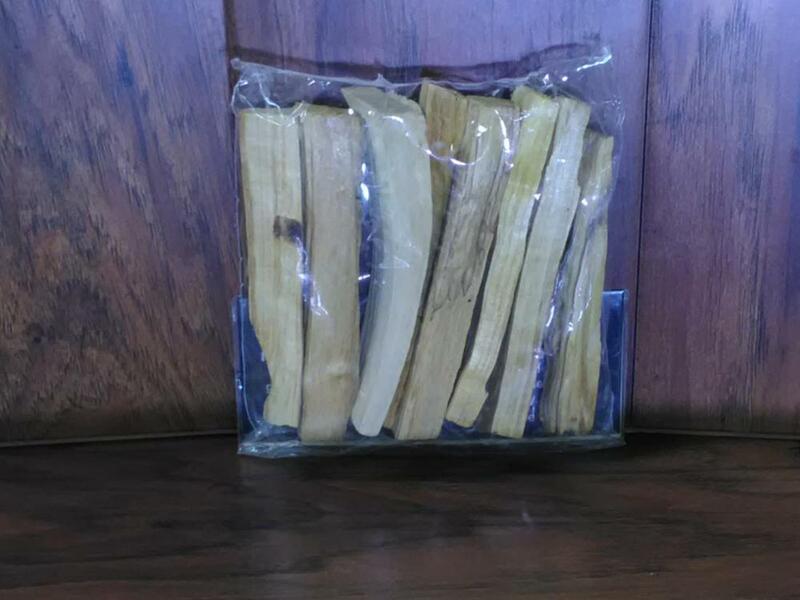 Palo Santo , a.k.a Holy wood, has been used since ancient times by the Incas as a spiritual remedy for purifying and cleansing. It is said to cleanse a space of negative energies. Palo Santo wood is harvested under government supervision by the natives of the Peruvian jungle. Palo Santo trees often drop their twigs and branches and the wood is collected from the ground. These sticks can be lit alone as is and will burn for a few seconds to a minute or so and extinguish themselves, filling a space with a sweet warm fragrance. The wood can also be ground and powdered and used in small amounts as an ingredient in incense mixtures. Mixes with all the copal resins, sandalwood, vanilla, balsams, benzoin, etc. Is used for bitter, antiseptic, used to reduce tension, inflammation and to control convulsions. Treats acne, wounds and dermatitis.